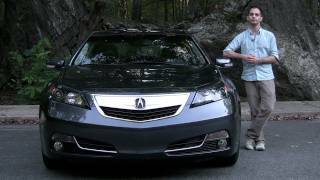 Acura released details about the Acura TL 2012 which features a redesigned front bumper with improved aerodynamics, a revised grille, updated headlights and turn signals, a new fog light design and a shorter front overhang. At the rear, a new rear bumper incorporates a significantly repositioned license plate opening and smaller rear reflectors, while updated taillights and a thinner rear trunk edge trim add to a sophisticated new look. 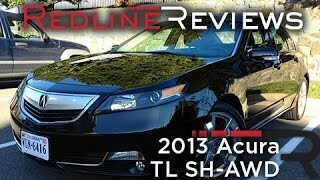 Acura TL 2012 is expected to go on sale on March 18th. To increase performance, a new Sequential SportShift 6-speed automatic transmission is applied on all TL models fitted with an automatic transmission. In addition to incorporating engineering enhancements aimed at improving efficiency, a sport-minded double-kick-down feature lets the driver command a double downshift— such as from Fifth to Third gear. The Drive-by-Wire™ throttle system also creates a "blip" of the throttle to help match gear speeds while downshifting. Previously, only the TL SH-AWD® made use of an external transmission cooler, but for 2012 all models of the TL (with automatic transmission) are now fitted with an external transmission cooler. The transmission teams with a new multi-clutch torque converter that not only reduces heat build-up during operation, but also allows for lock-up activation during a much wider range of driving conditions— which helps generate improved fuel economy. As a result, city/highway fuel economy for the TL is now 20/29 mpg*— an increase of 3 mpg in highway driving over the 2011 model. The TL SH-AWD® equipped with the new 6-speed automatic transmission increases by 1 mpg in both city and highway fuel economy to 18/26 mpg. Matched with the transmission is a new final drive gear ratio that allows for more relaxed cruising on the highway. 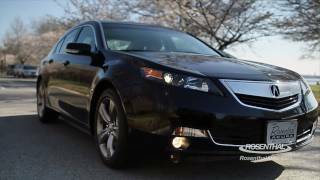 For 2012, two distinct versions of Acura's performance luxury sedan remain: a 280 horsepower, front-wheel-drive TL along with a powerful 305 hp TL paired with Acura's exclusive Super Handling All-Wheel Drive™ (SH-AWD®). The performance-minded 6MT model (with 6-speed manual transmission, handling and steering improvements) will continue to be offered in the 2012 TL SH-AWD® lineup, helping broaden the TL's appeal among luxury performance sedan buyers. Both the TL and TL SH-AWD® models offer an available Technology Package which includes the Acura Navigation System with Voice Recognition™, AcuraLink Real-Time Traffic with Traffic Rerouting™, AcuraLink Real-Time Weather™ and an Acura/ELS Surround® 440-watt Premium Audio System. For 2012, the hard disk drive (HDD) based navigation system increases in size to 60 gigabytes, map coverage is more expansive, and the full VGA monitor is brighter with even richer colors with the new backlit LED display. With the revised HDD system, there is an increase to 15 GB of dedicated space for the storage of up to 3,500 songs**. Also new is Song By Voice™ that allows the driver to choose music by artist, album, song title, genre, playlist and even composer. 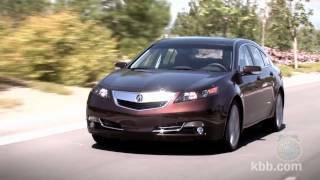 The 2012 TL uses a host of advanced safety features including Acura's acclaimed Advanced Compatibility Engineering™ (ACE™) body structure. The ACE™ body design enhances occupant protection and crash compatibility in frontal crashes by utilizing a network of connected structural elements to distribute crash energy more evenly throughout the front of the vehicle. ACE™ body design also helps to reduce the forces transferred to the passenger compartment and can help to more evenly disperse the forces transferred to other vehicles in a crash. The 2012 TL includes safety minded features such as ABS, Electronic Brake Distribution and Brake Assist in conjunction with the 4-wheel disc brakes, Vehicle Stability Assist™ (VSA®), Tire Pressure Monitoring System (TPMS) and daytime running lights (DRL).